You are here: Home / Palm Reading Chart / Study Palm Reading – How Do You Express Your Love? 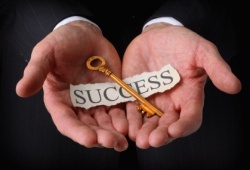 Almost people have various lifestyles, behaviors, features and other things in life. 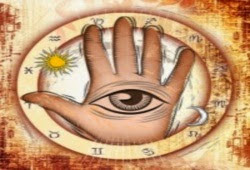 Do you think that when studying palm reading, you can uncover many things that can happen in your life? How do you express your love or how can you know about your current marriage or how many children can you have? Well, the lines and markings on your hand will help you unravel some necessary things you are concerned. In case that you want to know about your love life, we will be happy to introduce you two specific lines as the Love line and the Marriage line. 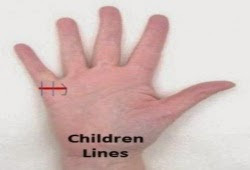 You should know that the Love line is the Heart line, and it’s one out of the 4 main lines on your palm. It’s found on the top of the palm and below fingers. It begins from the edge of the palm and goes towards the pinkie. This line mainly shows all the matters about the emotional stability and relationships, and cardiac health. 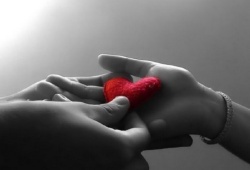 If your Love life goes downwards and touches the Life line, you might be a susceptible person. In case that your line is straight, and it goes parallel to the Head line, it means that you possess a strong emotion. If your line is short and faint, it means that you’re not interested in issues of love. If there are some small lines on your Love line, and their directions are upwards, you will relish a blissful love. Nonetheless, in case that these lines are downwards, you could encounter an unhappy love. To determine your Marriage line, you need to observe a small line below the base of the pinky. You are able to figure out one or more lines depending on each person. According to palm readers, the number of this line will show the number of marriages that the bearer will have. If you possess a long and straight Marriage line, it means that you will enjoy a fulfilling relationship. If you find out some small lines near your Marriage line, but they don’t cut across it, it means that your kids will be born after getting married. On the contrary, if these lines go through the Marriage line, you might give a birth before getting married. If the line is far from the Heart line and the pinky, the marriage might come to your life soon and vice versa. Well, are you still confused about the subject “Palm Reading How Do You Express Your Love ?” Please offer all your questions in the box instantly! 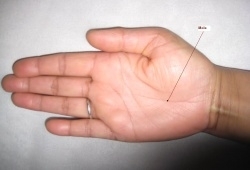 Next article: What Do Palm Lines Mean? Palm Reading Online – Will I Get Married to My True Lover?